A happy first Monday of 2016 to you! I hope the new year has been treating you kindly so far and that the beginning of this week sees you ready for some new adventures. If I'd asked you to name one thing Sian might like for Christmas, what would you have said? A new book about knitting socks? You'd have been right. I did get a sock book; and when I opened it last night, the first thing I found out was this: if your second toe is longer than your big toe, you can tell yourself you have a "Grecian foot". This is news to me. I've lived my whole life not knowing my feet are of the Grecian variety. Believe me, it sounds a lot better than some of the other ways I have to describe them. And so I'm passing it along, just in case any of you know a differently toe-d person who might appreciate it. How about you? What did you learn at the weekend? Or what did you do for the first time? Do tell! If we keep this up all year..well, just think: we'll all know so much more than we did before! If there's a story to go with your offering - of course, bring it all; but if it's small, just a sentence or two, that'll do every bit as nicely. It doesn't have to be mind blowing or life changing: a little personal aha! moment can make a big impact. It might give you an idea for a scrapbook page, or spark a story. And it might be just what we need to get us thinking. Every Memorandum Monday. Remember! Before you forget! So inquiring minds want to know, do you adjust the sock pattern in any way for Grecian feet? On Memorandum Monday - this is a fab idea, Sian! And it just so happens to play into a post I had already planned - if I tweak it just a bit. How serendipitous on this 1st Monday of 2016. I cannot wait to see what everyone shares. 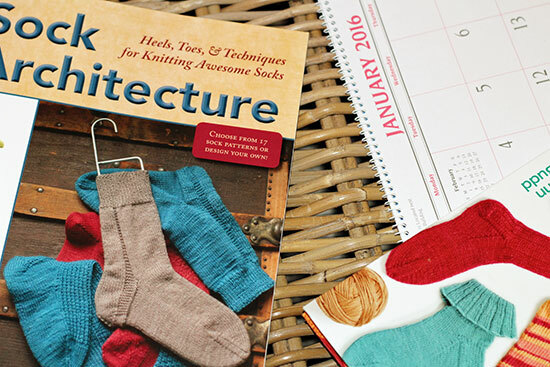 Sock Architecture - what a fabulous book title! I just know you're going to enjoy it. What a good idea. A bit like "Learn Something New Every Day", but for a whole year instead of just a month. It just so happens I did learn something at the weekend and it will make a nice quick post. This is a great idea and I will certainly look out for new things to try or to learn so I can include them in my Monday morning post. I have a Grecian foot too! I have so enjoyed all of your sock posts this past year. I am intimidated by knitting socks. I need someone to teach me. You make it look so easy! I need to just dive in. Of course, if I do, that would be my "something new I've learned post!" Bring it on. Well, I've just learned that I also have a Grecian toe. [FYI: I'm now considering myself carved from marble]. I love Memorandum Monday already. Things I learned over the weekend? [firstly I'll need to double check when that was ... these post Christmas days are a little elusive still] ... I learned that I can apparently cry at a Shakespeare play other than Hamlet. after shedding a tear over a particularly lovely line in The Winter's Tale [broadcast in the cinema yesterday.] The possibilities [and tissues] are now endless! I love this idea Sian and I love your fact! I will have to tell Tim as I am pretty sure he is of the grecian toe variety! Things I learnt this weekend....never trust train companies to get you where you want to go on time! I also learnt that a few extra minutes here or there don't really matter in the great scheme of things! I like your new idea, I may not always contribute as some weekends I don't leave the house apart from dog walking - maybe it will make be more aware of what is new. We will see what happens over the year. Grecian feet eh? Never heard of it before. I have boring old ordinary toes with the big one first and graduating down in line to the little one. I'm wondering how you need to adjust patterns to accommodate a longer middle toe! I like the idea of learning something new every weekend - I had almost done my blog post over the weekend so had to speedily make some adjustments. I shall know for next week! Love this idea and fascinating about the feet! I will try and join in when I can - can't promise it will be every Monday, but definitely joining in this week as I did something new for the very first time yesterday! Thanks Sian for another brilliant idea. Grecian feet - it paints a lovely picture of the person attached to those toes & feet. I must take a closer look at my toes. Memorandum Monday - something new, well that is definitely going to be a challenge for me - all in a good way of course. Great Post Sian and did you know that there are other varieties of feet? I love this idea and will look forward to seeing what everyone shares. 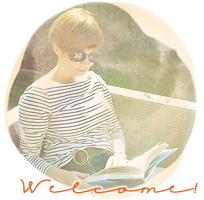 Luckily I did something for the first time at the weekend so I have just published my first post. Thanks for organising this Sian. I have a Grecian foot. What did I learn this weekend? That despite my being in denial Gracia has been old enough to drink alcohol for nearly 5 years! Interesting toe fact. Now there's an interesting thing to tuck away :). And a lovely idea for Monday's this year :). Sounds very romantic to have a Grecian toe...although new book is also very nice! Great new idea! Hope to give it a whirl in the future. That is a great sock book. I'm hoping to do some serious sock knitting in 2016! Love this new idea - hope to join in regularly this year! Does your book specify the origin of people whose toes go down in size with each toe? I think all I learned is that my 3 1/2 year old is very ready for school! Lots of tantrums! Sounds like some interesting posts will be made this year! I too have Grecian feet. We don't usually go out on weekends - being retired we tend to go out during the week when places aren't as busy and stay home on weekends. Although I think I'll have something to post on Monday as this weekend has something happening we've never had happen before. This is a great idea for Monday's Sian. You never know, it might spark inspiration for new ideas and learning. Love the detail in the socks, you are certainly teaching me a thing or two about heel construction and patterns!